North Shields has changed beyond belief over the past 50 years. Coalmining and fishing industries died leaving a once thriving town twiddling its thumbs, wondering what to do with itself. Folk left town or stopped visiting and pubs, churches and shops lie empty. 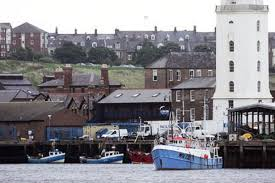 Shields (as it is affectionately called by locals) ain’t the town it used to be but I’m not writing it off. Last year I was pleased to support Karen Mitchell’s creative endeavours, The Ballarat Studios, housed in a former pub in North Shields. Yesterday I visited the town’s newest creative venture, Happy Planet Creative Arts CIC and chatted to Gail Curry who set the organisation up in a former evangelical church, The Town Mission. The building is on Lower Rudyerd Street and has amazing views of the river from Happy Planet’s windows. Happy Planet has just hosted a couple of very successful open days and is offering regular social creative sessions open to all. Moonkwayk Studios’ Anne Proctor is running regular intaglio printing sessions on Saturdays and there will be regular workshops and taster classes relating to felting, jewellery making, hooky & proggy plus creative writing. I lived in London for 15 years and spent another two living in Cambridge and commuting into the Big Smoke for work. When I first moved there aged 22 I was scared of, overwhelmed and intimidated by London. Over the years I came to love, respect and understand the capital. I moved back to the North East almost five years ago and London is now a place I visit for business and pleasure. I like visiting for two to three days at a time. This gives me time to meet a friend or two, visit an art gallery and have a mooch around the markets, bookshops and charity shops. 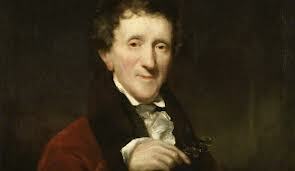 I’m ashamed to admit that I never visited John Soane’s house behind Holborn when I lived in London. I recall driving past it one evening about 15 years ago and seeing Gilbert and George standing on the steps. They waved in unison as I went past. Quite a sight. Soane and Skoob are jewels in London’s unique, ornate crown. These jewels are easier for me to appreciate and enjoy as a frequent visitor.